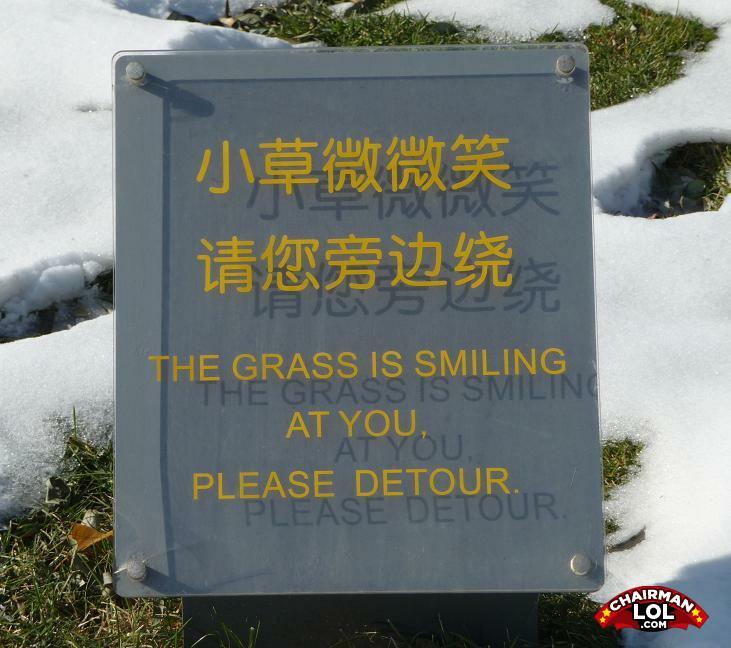 well as long as we keep smiling back the grass wont attack us, look how it uses natural camo and the elements to disguise its creeping growth and nefarious stalking patterns....what a wonder of nature! I've seen that sign! Got a picture of it too. Just outside the 'Birds' Nest' Olympic Stadium in Beijing.